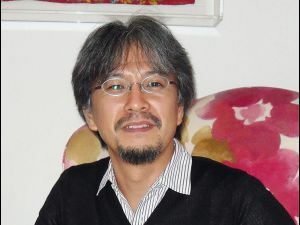 In a recent interview with Official Nintendo Magazine, Eiji Aonuma talks about the upcoming Legend of Zelda title for the Nintendo Wii and the recently released Legend of Zelda Spirit Tracks for the Nintendo DS. Aonuma talks a lot about the development process of both Spirit Tracks and Zelda Wii and also talks about the future plans for the Zelda development teams. Are you happy with the finished game? Is there anything in Spirit Tracks that you’d go back and change? “One of the most important missions with this game was to complete a new DS version of Zelda in a relatively short time period. To tell you the truth, with the train line aspect of the game, it is brand new for the Legend of Zelda and it ended up occupying almost half of the total development period. In other words, it was just about one year ago when we were able to start working on anything other than the train ride aspect of this game. I am really, really glad and very proud of our staff who were able to complete the missions with such a limited amount of time and still they are able to make such high quality software… after finishing the title and playing the game myself I am very proud of it. Aonuma also discusses the idea of using the Spirit of Princess Zelda to be a companion with Link. He talks about how that idea came to be, and what Miyamoto’s reaction was to the idea. One of my favorite quotes from Eiji in the interview was how he stated that for the Zelda series, he does not consult with Nintendo President Satoru Iwata. What was Mr. Iwata’s (Nintendo President) reaction to the idea? As far as the Legend Of Zelda series is concerned, I have never consulted with Mr Iwata as to what we’d like to do in the initial concept-building stage, and we did not talk to Mr. Iwata when we started making Spirit Tracks either. You can check out the full article over at the Official Nintendo Magazine website.